Physical Education occurs twice weekly for each student. Uniforms are required for grades 1-8. Kindergartners only need gym shoes on gym days. 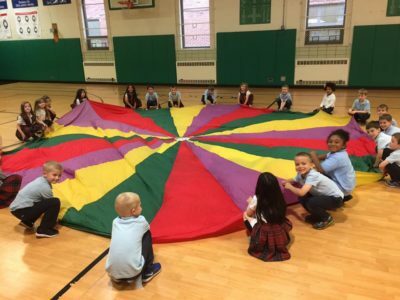 Grades K-3 cover locomotor skills such as chasing, fleeing, dodging, dribbling, juggling, balancing, and many more fun activities. 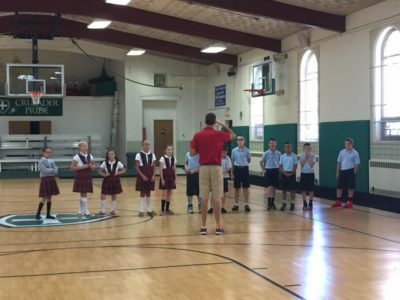 Grades 4-8 play team sports, individual sports, and cooperative games. They develop and practice overall fitness and complete a fitness assessment twice a year.